Are you worried that your trainer will ‘smash’ you and treat you like a 20 year old when you go to the gym? … Or do you think that low impact classes will be too easy for you? Yes… then this is the class for you. As I will work you as hard as you want or as gently as you need with individualised exercises, just for you. I am here to make your bodies feel and move better. I will be planning sensible well thought out exercises to improve posture, muscle tone, flexibility, mobility and to improve general health, bone density and wellbeing. Work out safely and effectively with a trainer that has years of experience in exercising throughout all ages. I am trained in Rehab, Pilates and exercising for seniors. Having already been through hip surgery myself I know what it feels like to be worried about your body and to want to do the right thing. Luckily I have the knowledge and experience to help you through all stages of rehabilitation or pre-habilitation at a sensible pace. 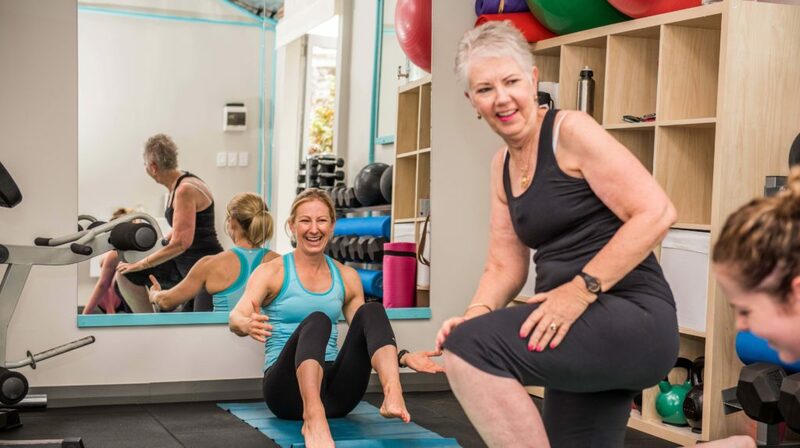 Some of my fittest clients are over 60 and we train in a way to suit their lifestyle, bodies and fitness goals. I want everyone to feel like they can work to improve what is important to them, at their own levels in this class to achieve their goals. From beginner to advanced. I want you to feel comfortable in a non gym environment to work out at your own individual limits. This allows me to adapt the exercises and the difficulty levels to suit everyone, whether you are a beginner to exercise or an avid exerciser. In a non judgmental space you can have fun, meet new people and learn what is right for your body. There will be no horrible high impact exercises (unless you want it! and your body can cope with it). Cost: $40 per class or $37.50 if booked in a block of 10 classes.